Here we go....a layout of my dd on her 3rd birthday. We were up at the school waiting to do some testing. She decided she needed a snack while we waited (luckily I had brought her one) and happily found a box of toys to keep her occupied. I started this layout in Seattle at CKC. It was fun to work on and I like these pictures on it. They are just everyday pictures and sometimes those are just fun ones to work with. What did you do for your last birthday??!! Any big ones coming up?? Or anyone have any good birthday stories to share?? I'm sure you know the drill....I'm probably still lying down, bored, recovering, hoping you will comment..... HUGS! I wanted to share a picture of the flowers my sweet friend, Denise sent me. I have them on my dresser here in my bedroom and they really brighten the room and my spirits. Isn't she awesome??!! I am super lucky to have her as a friend! I did this two page layout for my son Riley's "Gotcha Day". He was adopted by us from Taiwan. We took our two 5 year old boys with us and my mother too. We left our 3 year old daughter at home because we didn't think she would be able to handle the super long flight to Taiwan. We flew into Taipei and spent a couple of days there before flying down to Tainan to get Riley. Unfortunately when we got there he was sick in the hospital with pneumonia. So we had to extend our stay in Tainan for a few days. And even though he was sick and we were so worried we still had a marvelous trip. All the people there were so kind to us. Our friend, Mei Chun, helped us get our hotel room extended even though they were booked up solid. She and her family took us out to eat many times and we had many visits and meals with the nanny's at St. Lucy Center where Riley had lived. The funny thing about this trip was that we had only planned to be in Tainan for 2 days (just overnight) so we only took clothes for 1 day and left the rest at our hotel in Taipei....and then ended up staying for 4 days. Pretty much all my pictures are of us in the same outfits! lol (we did have them laundered at the hotel) Lucky for the boys, they had brought their swimsuits with them. The hotel had a fabulous pool that no one else visited and we spent many hours down there. Riley was let out of the hospital eventually with strong drugs and they brought him to us at our hotel. We took a few pictures with some of the people from St. Lucy Center and Mei Chun . Hopped in a taxi and headed to the airport. We had to make it to our appointment at the US Embassy in Taipei the next morning. I plan to add tons of journaling to the pages but wanted to do that later. I started these pages in Seattle at CKC. It is pretty great how well they worked with the pictures I wanted to scrap. The pictures on the first page are of me and Riley at the airport, us all at the hotel when we first got him and my dh and Riley in the hospital before we got him. I haven't really scrapped on Kraft paper before. I like the look of it. It really brings attention to the pictures. What do you think?? Like working with Kraft paper?? Anyone want to tell me something interesting?? Maybe you are the type of person who can't live without something?? What would that be?? Or do you do something a bit odd that you just Have to do?? Comment!! I'm sure I am still lying here bored-recovering..... Hugs!! As you all know, I have five kids. They range in age from 3 to 10. My 5 year old has been riding the bus since last year but none of my other kids have ever ridden the bus....until NOW. Last week the 3 older kids were approved to ride the bus with Riley. I rushed out and took these pictures so that I could scrap them. And amazingly they all are looking and smiling at the camera!! Can you even believe it??!! But since I am down with all of these surgeries I haven't had a chance to scrap them sooooo now I have new bus pictures. My littlest started pre-school and goes to their school and now she rides the bus with them too!! You will notice that they are NOT all looking and smiling in these pictures but what can you do?? lol They are still good enough to scrap!! She wasn't too thrilled with it to begin with unlike the other kids. She cried the first 2 days. But now she has stopped crying. (thank goodness) She still won't climb the steps into the bus alone yet but I bet she will soon. She just needs to get used to it all. How is the weather where you live?? Anything interesting to talk about?? It is sunny and in the 70s here....(or was when I wrote this pre-scheduled post!! ha) And I am sure I am still lying in bed -bored - recovering..... write me!! It's Tuesday and I am home from the hospital and doing well. I'm moving slowly and not really online that much but I did want to say hello. I do plan to visit everyone who wrote me such sweet comments and sent the warm well wishes and thank you in person but until I can do that I wanted to tell you all how much it meant to me to read them. It really made a difference when you left me a comment telling me you are thinking of me. I really appreciate all the kindness of my friends. It touched my heart that even with a person you don't "know" except online you are so awesome. Thank you guys so much! 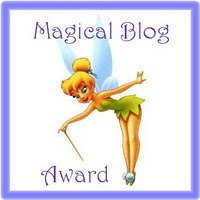 I also wanted to thank Karla at Made by Karla for giving me this great Magical Blog award! Wasn't that sweet?? I love to visit her blog and see what she comes up with and you will too if you go check her out. I am supposed to pass this on to five people. The first will be Kelly M. at Uniquely Me, Imperfections And All. Kelly is an awesome friend and her blog rocks!! I visit her every day. The second will be Denise at Lala's World just because she is my bestie! And a daily inspiration to me. The third is for Frea at Creafrea. Frea is a sweetheart and a marvelous artist. You will be so happy to visit her blog and see all her beautiful creations! The fourth goes to Michelle H. at I Luv Scrapping. Michelle always has some fabulous crafty creations on her blog and I learn so much from visiting her. And her heart is full of kindness. The fifth and final person is Marlene at Disguised As A Grown Up. I choose Marlene because she raises my spirits every day that I visit her blog. Her cards are gorgeous and she is hilarious and under that snark is a heart of gold! There you have it, 5 of my favorite blogs.... There are so many more I could list and would like to list. If you visit me feel free to take this award away with you too. I thought I would share a couple of pictures today. One is of my poor messy scrapping area. You have to give me a break because I have been up and down with my surgeries lately. The next picture is of my sweet little Sophie dog. She has found herself a spot up on my pile of "hidden" scraps. Poor dog!! lol You know she can't be comfortable because that is a pile of paper she is laying on (vertical paper). I couldn't help sharing it with you even though it shows what a mess my area is because she just looks so cute lying there. How does your scrap area look? Are messy like me or organized?? If you are organized can you give me any good ideas on how to get organized in this space?? Just a quick note to let you know that Stacy has had her surgery and that the doctor was pleased and everything went well. While I am having surgery today I decided to share a layout I made for Scrap Our Stash's January Challenge. Their challenge this month is to scrap something NEW. You can use new stuff or a new tool or just use the word New in your layout. I decided to use my new Sizzix Vagabond that my mother got me for Christmas and share the process with everyone. First, you should look how cute it is!! It looks like a little suitcase and is about 14lbs and if you didn't already know...it is a motorized die cut/embossing machine. There is a little storage compartment on the side for the electrical plug and you plug it in on the other side of the machine. The switch to open it is at the top under the handle. Slide the button over and the side slowly lower on each side. It comes with a Solo Platform, A Shim and two clear Cutting Plates. The beauty and difference of this machine is that it will cut thicker things, like grunge board, thin metal, cork etc. I decided to start off easy with the embossing. I am totally new to this sort of thing and was wondering how hard it would be. I used a Cuttlebug embossing folder that I had and some card stock. I just cut the card stock to approximate the correct size and then opened the folder and slid the paper inside. Easy so far. Next I sandwiched it between the two clear cutting plates then but these three things on the Solo Platform. I gently pushed it all into the machine a bit until I felt a little pressure. On top of the machine are two buttons. One is to adjust direction and one is to turn on the machine. The machine will stop running if you stop pushing the button. I made sure it was going the right way and pushed the on button. I pushed the Solo Platform in until the machine took over. Super easy. See how it turned out.... 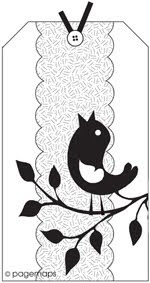 It made a really deep embossed pattern on the card stock. I think it turned out neat looking. Since I like how much this looked I decided to use this embossing folder for the paper that I used to mat my photos on my layout. I used different paper that matched my layout better. Do you have a Vagabond yet?? I have really had fun with it but would probably not have purchased it because it is pretty expensive. I am happy to have it as a gift and I am sure I will make a ton of cool things with it. On my layout I used a sketch from Sassylilsketches. I used We R Memory Keepers White Out Paper - Nonsense-Splish Splash, Nonsense-Ding Dong and Nonsense-Drip Drop. I also used Nonsense Chipboard embellies and Rubon's that coordinated. The ribbon and bling are from my stash. And I added some Crystal Stickles because I add crystal stickles to basically every layout I make!! There you have it my January "NEW" Challenge for Scrap Our Stash. Go join in!! Cross your fingers for me today!! I thought I would pop in and leave you a personal message and let you know that I survived my surgery last week. I have been trying to stay down as much as possible this week so that I could heal up a bit before I had my hysterectomy tomorrow. I'm still sore but I am sure things will work out fine. Everyone please send some good thoughts my way tomorrow. I was so excited to get this big pile of goodies in the mail from my friend, Jose, in The Netherlands!! She sent them to me out of the blue and it was such a wonderful surprise!! It is so sweet and it makes me want to hurry up and get better quicker so I can start scrapping again and use some of this fun stuff. I hope you had a great weekend. It is now Monday and I am going to share a double layout I made last weekend. I started this layout while I was at CKC in Seattle. I decided to finish it up last weekend so that I would have a few things ready to post while I was down after surgery...so here you go. Don't forget that the Bling On 2011 is going on at Sketches4you. My challenge is still going too on until the 19th so go check it out. While I am out having surgery (again), I have set up this post for you to read today. This last weekend I was in a scrapping frenzy and while I was working at my scrap desk my 10 year old son, Quinn, decided to set up a table for him to scrap at near me. For Christmas, I got him and the other 2 older kids a mini scrapbook kit. He decided to work on one of the pages for his mini book. He picked a picture of two of our dogs and used stuff from his kit and he also picked a few things from my stash. It was super cute to watch him working. He was so into it and worked very diligently to get everything just right. He even did journalling on it!!!!!! I plan to use these pictures to scrap a page about it but since I can't yet I thought I would still share it with you now. Isn't his layout cute!!?? I can't wait to see his next page!! Be sure....I will be sharing it with you. Please leave him some bloggy love....you know he will be asking me to show him the comments!! I found out yesterday that I get to have an unexpected surgery tomorrow morning....!! It is an issue related to my surgery in October and needs to be taken care of now. If all goes well, I will still have my hysterectomy next Friday the 21st. So my blogging will be sporadic the next few weeks. If I am feeling well, I will get online but if not...I won't. So hopefully you will be hearing from me. I am planning to have a few posts scheduled to post while I am out of it. So keep coming by and checking things out. Today my 3 year old went to school for the first time!! And she did a great job and seemed to have had a good time. Here are a couple of pictures that you will see again as soon as I can get back to scrapping...but I thought I would share them with you now too. Don't forget that there is BLING ON 2011 going on at Sketches4you. My challenge is posting late tonight and will end on the 19th of January. So be sure and check it out. I would love for any and all of you to participate!! Bling On 2011 has been super fun so far!! And lots of fun prizes so check it out. I am saving some of them for when I have my surgery and will post some of them then. But I do have something to post today! I was inspired to scraplift a layout this weekend. I found it at Scrapbook Challenges yesterday and just loved it. I immediately printed out a picture and got started on it. I would like to give credit to the artist but can't find it again...I'm new to that site and apparently a bit challenged!! LOL If I find it I will edit this to give credit. 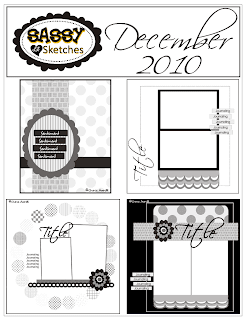 I am actually using this layout as the example for my Sketches4All Stash Challenge this week. My challenge is to doodle on your paper craft and have it be about (or for) you. It starts today and ends on Sunday January 16th. There is a RAK for the winner. There is a link on the side bar if you want to come join in. 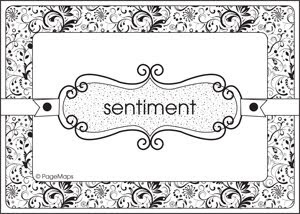 I also made this tag for Michelle's tag challenge at S4U. The challenge was to use this sketch and to recycle something on your layout and make something from your scraps. I used some packaging from some Prima flowers to make the tag and everything else on it is from scraps. I made the lollipop flowers and the bird embellie. You have until January 20th to join in on her challenge. 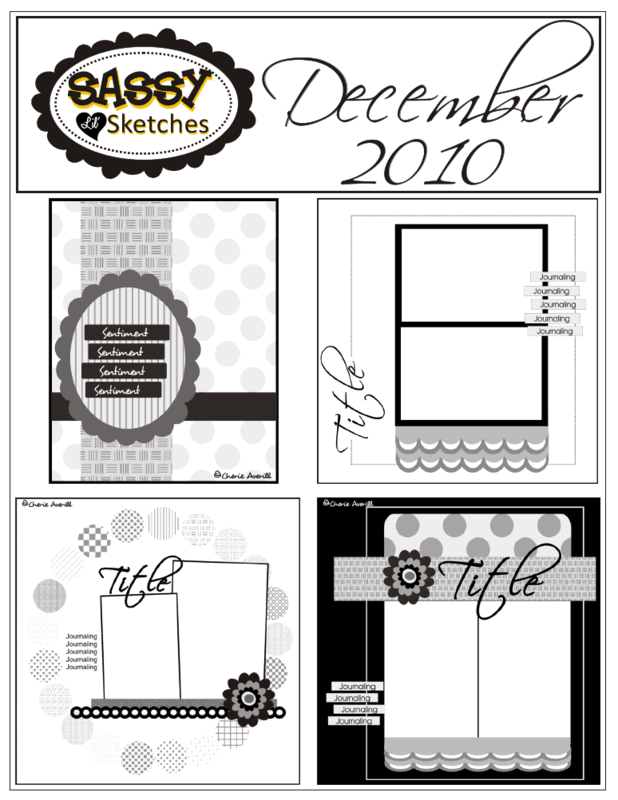 Now for the big news...Sketches4all is having BLING ON 2011 and it starts today and lasts until January 20th!!!! I will be posting my challenge for this event on Thursday, January 13th...so look for that to be happening. There is already a pre-challenge posted. There will be challenges posted each day by the DT with Blingy Prizes for the winners so you should come join in if you like your bling!! Did you do anything fun this weekend?? Or get any scrapping done?? Share!! Karen at Karens-Kakes-Krafts blog is trying to reach 100 followers. She has a lovely blog that you would be thrilled to visit. So go over there and see what you think and maybe become a follower. As added incentive she is offering 2 blog candys that she will draw when she reaches 100 followers... it looks pretty yummy!!! And you should hurry she is almost up to 100!! Wow, it's Friday! For some reason this week zipped by for me. But it was also so fun to see every one's creations and get inspired. I finally finished up a layout I started last night. I was over at Sketches4you looking around and saw the Bling On 2011 Pre-challenge offered by Christy. Her challenge is to use glimmer mist or sequins on a paper creation. I was really excited to do this challenge because I took a Glimmer Mist class at the Seattle CKC and did this great technique that saturates the paper and looks kind of like tie die. I just love the look so much. I got out my Glimmer Mist and went crazy spraying my white card stock. You just soak the paper with the different colors and then take a paper towel and blot up the excess spray off the paper. After I let it dry I started out trying to use a sketch but that really didn't work out for me. I didn't really want to cover up that much of the paper. I used a b/w photo of my dd. I thought it would be a good contrast to all the color on the paper. I messed around with it and adhered some things but never really liked it. I pulled everything off of it I could and I put it aside until this morning and sent a picture of it off to my buddy, Denise with an SOS. I just needed some inspiration. Her suggestion was "glimmer mist some flowers". And that was all it took. I got out some white Prima flowers and sprayed the heck out of them. Since this is for the Bling on 2011 event, I figured some bling was in order too. And then of course you need crystal Stickles on it... (don't you need crystal Stickles on everything?? lol) I had a cute butterfly border edge piece that I cut up and added. Finally, I came up with my title and voila! I love it. What do you think?? This Christmas I decided to set up a little scrap space in Oklahoma with supplies so that I wouldn't have to cart them back and forth every time we visited (which is all the time). I brought some things from home and I asked for a few things for Christmas. One of the things I asked for was a stapler. I asked my mom to get me a stapler and asked her to have it be a longer one... so I could reach farther across my layouts to staple. Anyone have any fun plans this weekend?? We have nothing planned and I am thrilled about it! Maybe I will be able to scrap, organize my scrap stuff, play with the kids, spend time with my husband, read...etc etc. I made a layout yesterday for a DT so can't show it yet but I did make a strange card with the scraps and I used a Sketches in Thyme sketch and am entering it in their challenge. I used We R Memory Keepers "White Out" paper -Nonsense-Ding Dong, Nonsense-Splish Splash and Nonsense-Drip Drop. I used a coordinating Nonsense chip board embellie. And a little crystal Stickles. And a little ribbon from my stash. And finally I used a Martha Stewart punch...yum....love her punches. I sure wish they were cheaper. I'm not sure if you can read the sentiment. It says Thinking Of You. I think it turned out cute. I used a picture from Christmas Eve. I had to change the title because it didn't work with the picture I wanted to use but luckily I had this cute We R Memory Keepers -Nonsense chipboard word that worked perfectly. And I also used some crystal Stickles on it. Because I feel you can never have too much sparkle. I was reading some blogs yesterday and found some really good ideas at Write. Click. Scrapbook. You should go check them out. I am thinking of doing the one where you take 12 pictures a month and at the end of the month you make 1 layout with them. Do this every month and then you will have a "Year in Review". I think I will try that this month and see if I can make it happen. Want to do it with me?? And then link your creations to my blog so I can go and enjoy them?? Question of the day...Do you watch TV? And if you do, what is your favorite show?? Last night I did this layout using a Sassylilsketches sketch for December. The last day to post is today so I need to get this written and go post! lol Nothing like waiting until the last minute. They are switching things around over there and for some reason I couldn't figure out how to just copy the picture of the sketch I used so you get to see all the December sketches. The one I used is the one on the bottom left side. I just love Cherie's sketches. I'm so happy to be home and getting back in my regular scrapping mode. I am going to try to get some extra things done and drafted for posting while I am down after my surgery. So I have been working frantically behind the scenes to get more and more stuff done. So my surgery will be on Friday, January 21st. Cross your fingers for me! 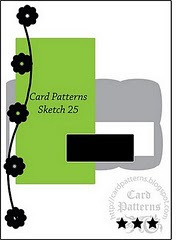 I finally got my card challenge posted at Sketches4you. The challenge is to use this great Pagemaps sketch and to use something "Old" and something "New" on your card. I thought the theme of old and new worked into the New Year pretty well and I really just liked the simplicity of this sketch. I took the sketch pretty literally. My "New" is the awesome paper that I got as a Christmas present from my bff, Denise. It is Graphic 45, Once Upon A Springtime Collection, Primrose Cottage #4500289. Isn't it super yummy paper??!! I really can't wait to use some of the other sheets. My "Old" is the cream colored Label Embellie and the ribbon from my stash. I like how this card turned out. What do you think?? I also wanted to tell you about a challenge that my friend, Denise, has offered on her blog. It is called Project 2011, Scrap Your Stash. And the title tells it all. It is basically a challenge to help us start out the new year by using what we have in our stash and not buying more at the store. She is going to try to do it for 6 months but you can join it monthly or try for the full time. She will post your blogs on her blog so we can encourage each other along the way. I have decided to give it a try. I know I will not last the full 6 month (never happen) but I am hoping to do at least one or two months. And even if I don't get that far I think it will make me more conscience of it and curtail some of my spending and encourage me to use all the great stuff I already have. So why don't you go check out her blog and sign up yourselves. If you are like me, you are probably broke after the holidays anyway...what a better time to try to do something like this. Sketches4you is getting ready to have Bling On 2011. It will start on January 10 (there might be a pre-challenge before then) and end on January 20th. There will be tons of challenges and prizes for the winners. You should definitely mark it on your scrappy calendars!!! I know I have a fun challenge to post and am personally getting excited to join in on all the other challenges!! I also wanted to tell you about the January challenge at Scrap Our Stash. The challenge this month is to do a "New" project. You can scrap about something New, scrap New Years pictures, use new equipment and tell us about it etc. It is up to you to interpret how you want to make your "New" challenge project. One of my resolutions that I am going to try to start doing is to make a card with the scraps left over after making a layout. I want to use them while they are still out on my scrap table. I challenge you to try to do this too. They don't have to be fancy cards but usually once my bits and pieces go in my paper scrap pile...they are hardly used again. What do you think? Want to try it too?? Here I am back home in Nevada where I just picked the winner of my blog candy. I wanted to show you what the winner was getting. I think I kind of went overboard but I was feeling the holiday spirit so what can I say!!?? Can I just say for you....WOW!!! I actually went a little crazy didn't I?? I found that I had gotten a few duplicates and since there was so much I decided to put these duplicates into a second "mini" candy for a 2nd winner. Aren't you dying to know who they are????!!!!!! The winner of the big, main candy is Michelle H.
I'm a follower now will share about your giveaway on Tuesday nights post!! Hope you have a great day"
Email me at scrapwithstacy@gmail.com with your address so I can pop these goodies in the mail to you. "Hi Stacy, aren't we getting spoiled rotten here!! I LOVE IT!! Well, a follower I am so there's no gain for you there LOL! Gee, something interesting about me, I'm not that interesting I think...how about the fact that I have a motorcycle licence and have driven my own Honda Shadow Chopper 700cc until 2 months ago?! That is something bloggers don't know about me. Kinda cool don't you think!? I just sold my motorbike to a friend, because I didn't take it out often enough anymore. But my hubby still owns a BMW motorcycle so I do tag along with him still. Going byking in Italy next May for 2 weeks!! Hugs, Frea"
Frea, email me your address so I can mail you your goodies!! You guys have until January 10th to email me - then I will pick another winner. So there you have it my two winners. If you didn't enter...aren't you a little sad??!! lol It could have been you....maybe next time. Happy New Years to all my sweet followers (and the not so sweet ones too!! LOL)!! I hope that 2011 is a very good year for you all. Hugs!! This post will stay at the top for a while...scroll down to see new posts. I will post a winner on Monday, January 3rd. Can you imagine....ANOTHER SCRAPWITHSTACY BLOG CANDY GIVEAWAY!! I am starting it today, December 1st and it will end 11:59pm on December 31st. I will pick a winner on New Years Day (January 1, 2011). I don't have a picture yet of my goodies but.....if you have entered before you know that my Giveaways are packed with goodness. You won't want to miss out. Could be more Tim Holtz stuff, could be a mix...but whatever it is it will be something you will want. 1) Comment on this post. Tell me something interesting about yourself. 3) Post about the giveaway and link back to me from your blog. 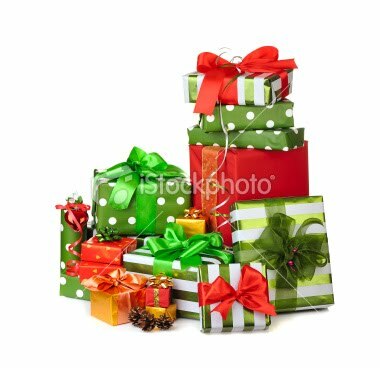 It is my little Holiday Season present for you. Still no picture but I have gone shopping....and I'm pretty sure Tim Holtz products ended up in my cart...so start getting excited! !